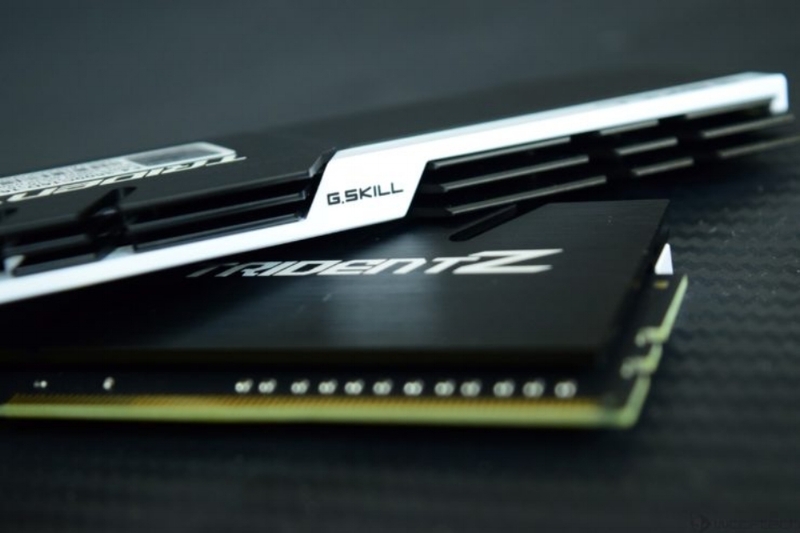 In other news, G.Skill has just revealed their DDR4-4600MHz CL 19 RAM kit made specifically for any system that sports the Intel Core i9X-Series with hand selected top-tier quality Samsung-B die IC components. The main theme with this particular memory is high octane performance and speed, meaning you probably should not install this in a plain Ole ordinary rig, its made for systems that's meant for high performance gaming. The RAM itself will come in two color variants, one will sport an all silver unibody laced with white accents, while the other will be covered entirely in black with black accents. Out the box, G.Skill's newest creation will come with CL19-23-23-3 at 1.5V, that's a 25% increase over any standard 1.2V memory module. The entire Trident Series DDR4-4600MHz kits will consist of a pair 8GBx2 modules totaling 16GB. What's so unique about this memory is its ability crack the 4000MHz barrier without the need for any specialize liquid cooling apparatus. Both variants of the Trident Z DDR4-4600MHz memory kit is schedule to be released at the end of Sept 2017, via G.Skill authorization.